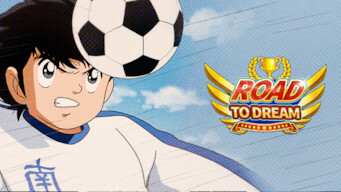 How to watch キャプテン翼: Road to Dream (2001) on Netflix Mexico! Yes, キャプテン翼: Road to Dream is now available on Mexican Netflix. It arrived for online streaming on April 15, 2019. We'll keep checking Netflix Mexico for キャプテン翼: Road to Dream, and this page will be updated with any changes. 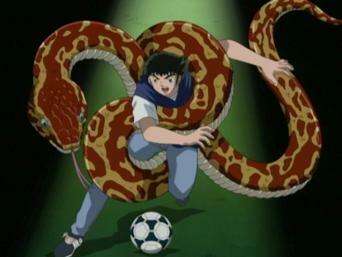 As pro soccer player Tsubasa Oozora prepares for a game that will be crucial to his future, he reflects on his lifelong devotion to the game. 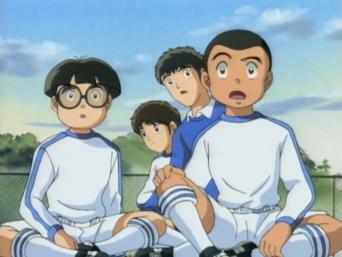 A young prodigy has an almost supernatural relationship with soccer. FIFA won't know what hit it. Road to Dream of キャプテン翼 has 42 episodes. Because different Netflix countries have different availability for episodes, you'll need to check the episode listing below to see which are available in Mexico. 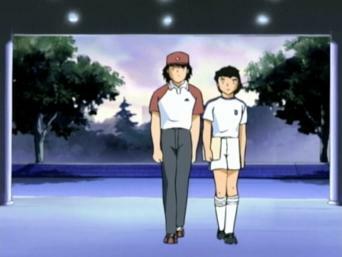 Looking back on his days as a soccer prodigy, a now-grown Tsubasa remembers his first match -- and the man who changed his life. 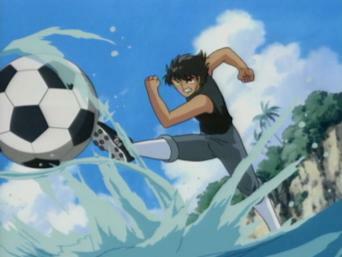 An old friend of Tsubasa's father, a former soccer star, urges Tsubasa to bond with the ball and teaches Tsubasa an impressive new skill. 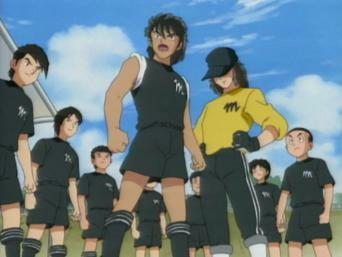 Tsubasa's team gets help from a new player while battling Syutetsu elementary school in the annual city soccer tournament. 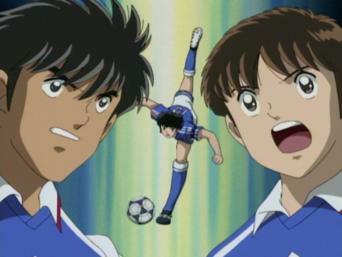 Tsubasa and the Nankatsu team find stiffer competition in the form of rival player Kojiro Hyuga, the leader of the Meiwa team. 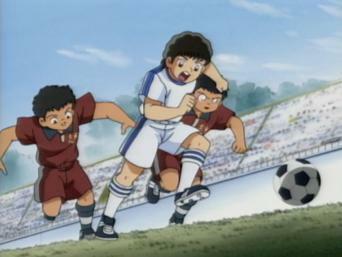 Captain Tsubasa is born when he's named the Nankatsu captain. But being a leader carries unexpected challenges when his teammates don't play nice. Boy's National Soccer Championship Opens! 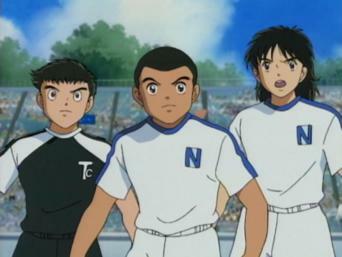 At the opening game of the National Soccer Championship, Nankatsu goes up against Meiwa, pitting Tsubasa's skills against Hyuga's. 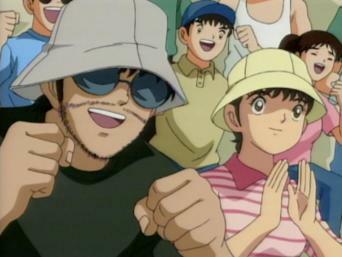 The championship is still up for grabs as Nankatsu enters the semifinals in a tough match against the Musashi team and its leader, Jun Misugi. 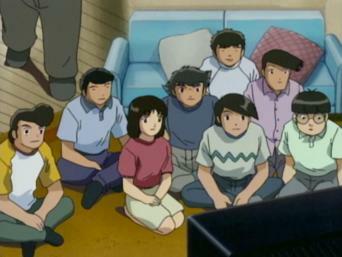 After learning that rival player Jun Misugi has a debilitating heart condition, Tsubasa finds it hard to focus on his own game. 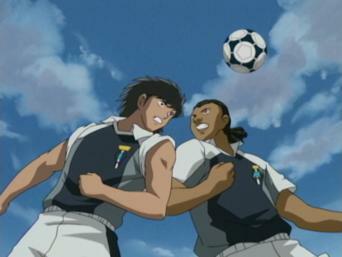 In a play for the boys' national championship, Nankatsu takes on team Meiwa in a fierce show of skill and discipline. But who will take the title? 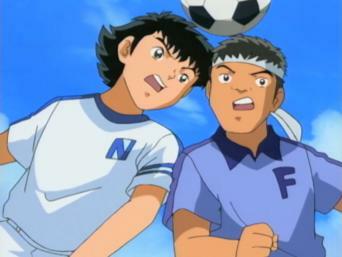 A nail-biting championship game goes into overtime, with both the Nankatsu and Meiwa teams playing their best. Who will take the title? 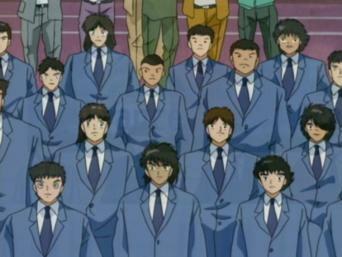 In the wake of Nankatsu's championship win, Tsubasa and his teammates field offers from all over the globe. But where will they all end up? Suiting up for his final Brancos game prompts Tsubasa to look back at the people and places that have shaped the player he's become. 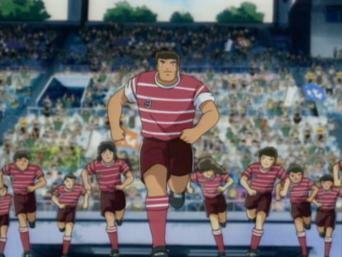 After cinching the national title two years in a row, Tsubasa and his team prep for a third win. 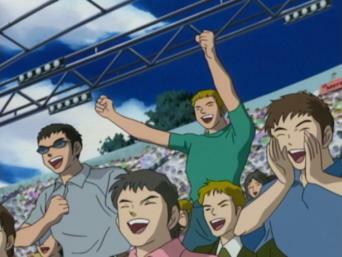 But his rival Kojiro Hyuga has other plans. 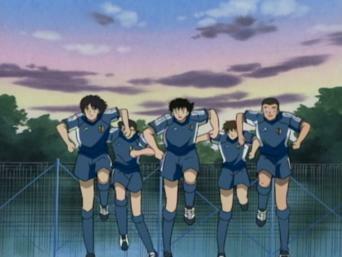 During a championship game against Hirado junior high, Tsubasa suffers a shoulder injury and must pull out a secret-weapon shot. 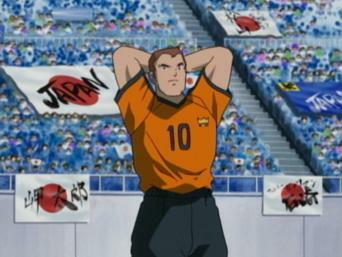 After hurting his shoulder in the first game of the championship, Tsubasa steels himself for the semifinals. But can he win in spite of his injury? 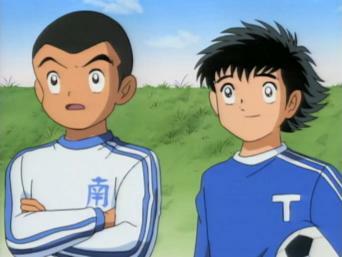 Tsubasa's shoulder is still hurting him in the wake of his team's semifinal victory, so goalkeeper Genzo takes Tsubasa to visit his team's doctor. 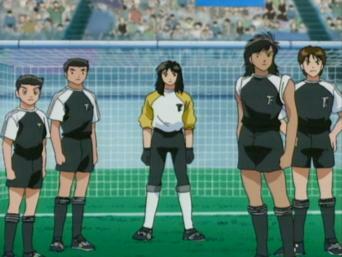 Following doctor's orders, Tsubasa is forced to sit out the first half of the final game. When he finally gets to play, he's got to make it count. 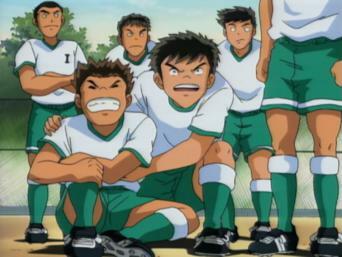 Saddled with a shoulder injury, Tsubasa soldiers through in a championship game against Toho. But can he hang on long enough to win? 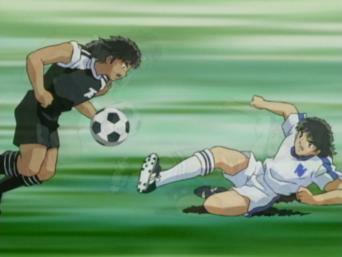 Tsubasa gives everything he's got to win the championship game against Toho -- everything, including his injured shoulder. Go for It! 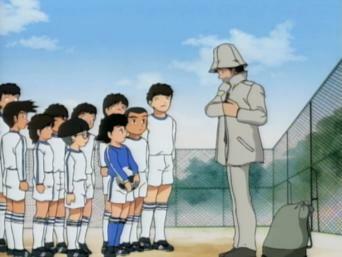 Japan Junior Youth Team! 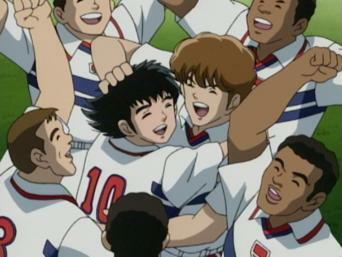 Thanks to stellar play in the national championship, a still-injured Tsubasa is picked to play for Japan's junior youth team. 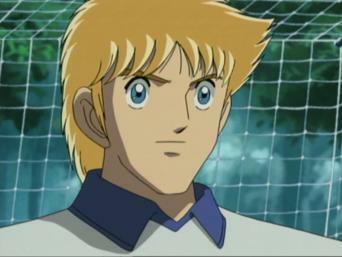 Japan comes up short in a test match against Gurenbald until a newly recovered Tsubasa shows up to play. But will the coach let him on the field? 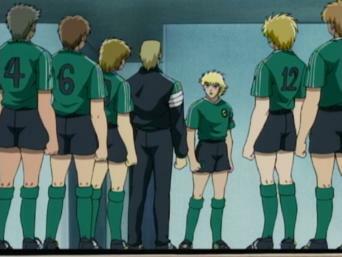 In the wake of Gurenbald's shocking loss, Italy cancels its game against Japan, prompting Tsubasa to bring the game to his Italian rivals. 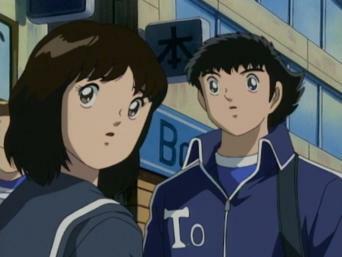 After Tsubasa convinces Taro to play for Japan, the "Golden Duo" prepares for a win at the International Junior Youth Tournament. 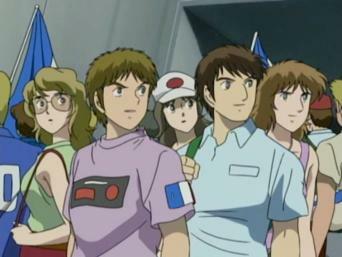 The newly formed Japanese team is put to the test at the start of the International Junior Youth Tournament during a tough match against rival Italy. Just one game stands between Japan and the final round of the International Junior Youth Tournament: a fiery match-up against rival Argentina. 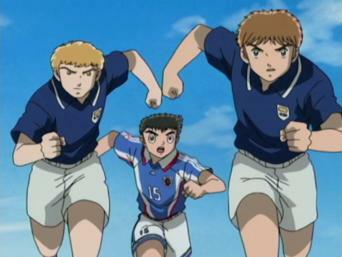 In a heated game against France in the tournament semifinals, Soda gets aggressive and collects an assortment of yellow cards. 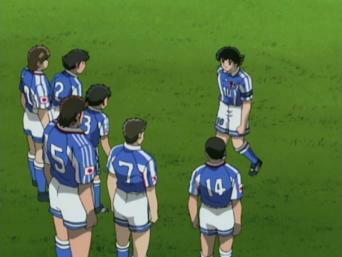 A frustrated Tsubasa racks up a yellow card of his own as Japan's hard-fought match against France continues in the semifinals. 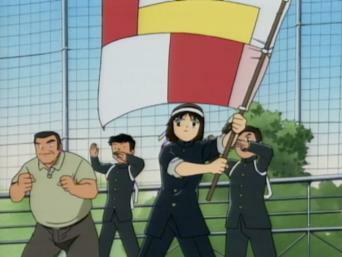 The game against France heats up as Soda leaves the match, Wakashimazu gets injured and Japan pushes on with fewer players. 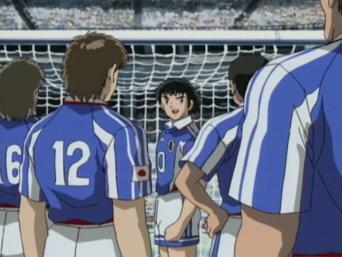 After beating France in the semifinals, Japan prepares to take on Germany, a formidable team with an unstoppable goalkeeper. 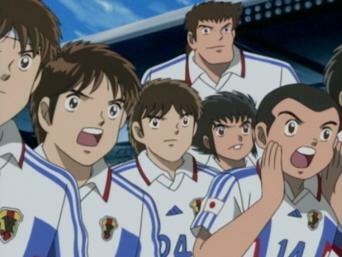 Down and out at the half during a tight game against Germany for the title, Tsubasa gets a message from Roberto with an important piece of advice. Shine in Glory! 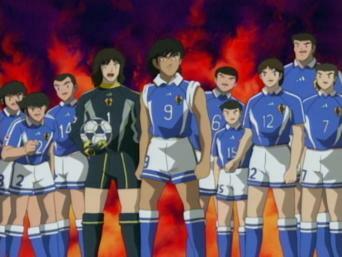 Japanese Team! With the International Youth Cup on the line, Tsubasa digs deep and gives everything he has for Japan. But will his efforts be rewarded with a win? 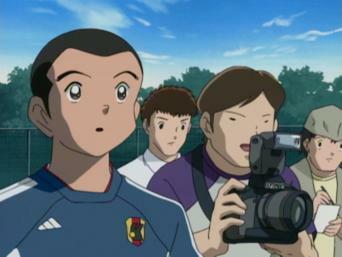 With the International Youth Cup win solidly behind him, Tsubasa leaves Japan and heads to Brazil to play for Roberto's Brancos. Now a full-fledged member of the Brancos, Tsubasa suits up to play Domingo -- and a fierce, new "soccer cyborg" named Carlos Santana. 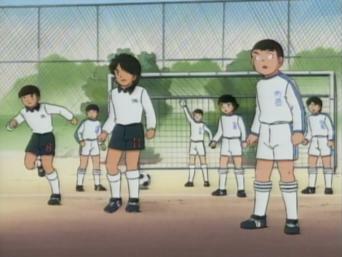 During a Brancos and Domingo match, soccer cyborg Santana recalls his painful past, first as an abandoned child and later as an imprisoned prodigy. 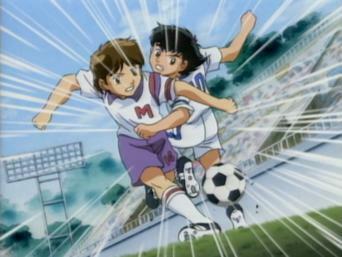 Thanks to Tsubasa's steady example of what it's like to play soccer with heart, Santana begins to play less like a machine. 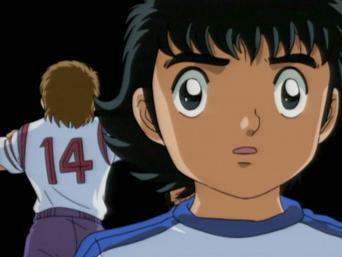 Tsubasa leaves Brazil behind for a spot on Spain's Catalunya team. 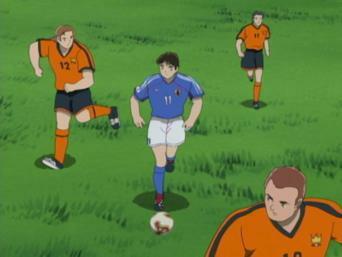 Meanwhile, his rival Hyuga stays close by setting his sights on playing for Italy. 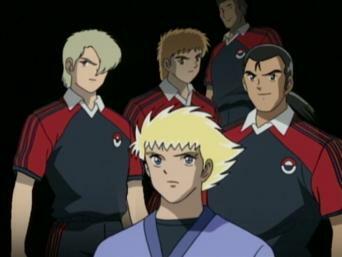 The players are poised to switch allegiances when Tsubasa, Genzo, Hyuga and Taro are invited to join the Japanese national team. After joining Italy's Piemonte team, Hyuga jockeys for a prime position. But he's not the only player gunning for the job. With a test match against Holland right around the corner, Japan welcomes a brand-new player with a fascinating backstory. 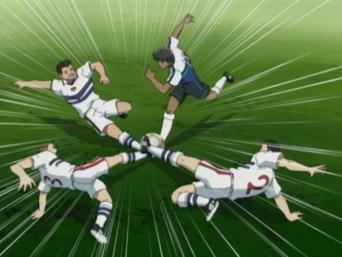 As the test match against Holland commences, Japan's offense looks strong -- but the Dutch team's defense looks even stronger. 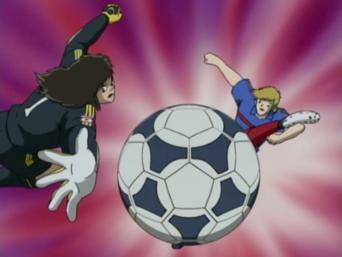 When Japan struggles to score against Holland thanks to a near-impenetrable defense, Shingo Aoi tries his best to break through the Dutch wall. 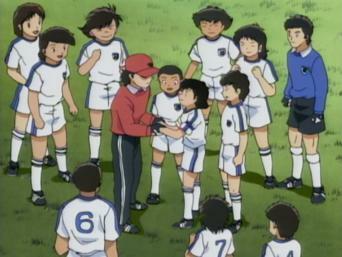 After playing hard against Holland, Tsubasa and his teammates train for the coveted international cup by relearning everything they already know.